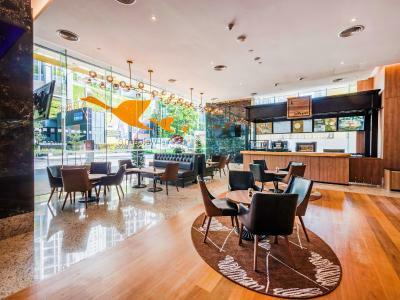 Lock in a great price for ibis Kuala Lumpur City Centre – rated 8.6 by recent guests! The bed was very comfy and huge . Room was very clean and hotel was amazing . I’m impressed with the roof top bar and swimming pool . The location was very good and the rooms are very clean. We liked the few from the hotel room and the large windows. We requested a room with a good view. It was also our anniversary so we asked the room to be prepared and we're so happy that they did. The bed had a wonderful mattress topper and my husband has found his perfect pillow after years of looking. The Sports Bar has a fabulous view of The Petronas Towers. I particular like location of hotel because is easy reachable from Highway and close to KL centre. Restaurant environment is beautiful with nice view around. location consider ok, rooms clean, overall quite satisfy. ibis Kuala Lumpur City Centre This rating is a reflection of how the property compares to the industry standard when it comes to price, facilities and services available. It's based on a self-evaluation by the property. Use this rating to help choose your stay! 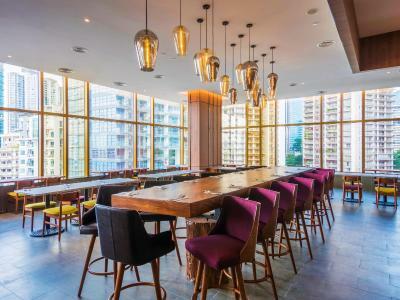 One of our top picks in Kuala Lumpur.Centrally located, ibis Kuala Lumpur City Center is a 2,250 feet walk to Petronas Twin Towers. It features a rooftop infinity pool and a kids pool. 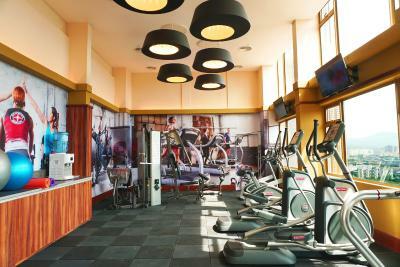 It also features 2 restaurants, free WiFi and free parking. Every room is air-conditioned and comes with a 40-inch flat-screen TV and city view. A mini-bar is also provided. The private bathroom is fitted with a rainshower and free toiletries. KLCC LRT station and Avenue K mall are 2,800 feet from ibis Kuala Lumpur City Center. The nearest airport is Sultan Abdul Aziz Shah Airport, 21 mi from the property. 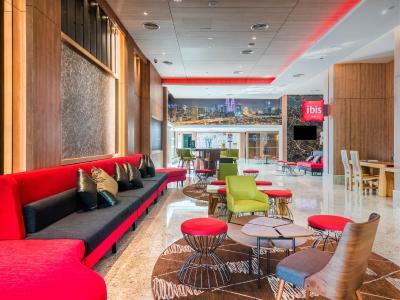 When would you like to stay at ibis Kuala Lumpur City Centre? Offering more space, this room is appointed with a flat-screen TV and coffee/tea making facilities. A rainshower and free toiletries are available in the private bathroom. Featuring city view, this air-conditioned room comes with a mini-bar and a flat-screen TV. The private bathroom has free toiletries. This twin room features more space and a flat-screen TV. Coffee/tea making facilities are provided. The private bathroom has free toiletries and a rainshower. Suitable for 2 people, this twin room comes with air conditioning and a flat-screen TV. The private bathroom includes free toiletries. This air-conditioned room features city view and a flat-screen TV. The private bathroom includes a rainshower. This air-conditioned room is fitted with a flat-screen TV and coffee/tea making facilities. A rainshower is available in the private bathroom. This triple room can accommodate 3 people. Fitted with air-conditioning, it features a flat-screen TV. Free toiletries are provided in the private bathroom. 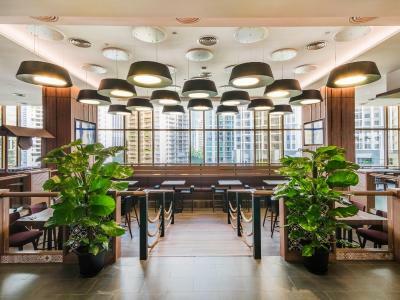 House Rules ibis Kuala Lumpur City Centre takes special requests – add in the next step! ibis Kuala Lumpur City Centre accepts these cards and reserves the right to temporarily hold an amount prior to arrival. The breakfast buffet, swimming pool has two parts, kiddie and adult, even if it is not big as expected but can accomodate both kids as well. 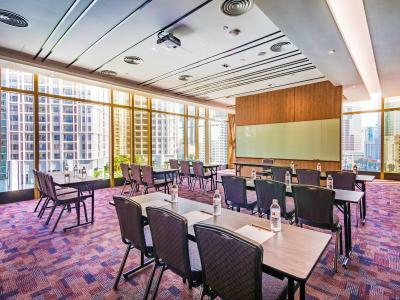 The rooms and accessibility to tourist attractions like 10min walking to petronas towers and suria mall. Nice, clean room. Spectacular view of the twin towers. Won't last for long anymore (I think Q3 2021) since they are building new condos that will be blocking the view. the pool was very over crowded when I checked it out would of been 80 people but the gym was empty! Missing order at the breakfast buffet: the staff looked unorganized and too slow to prepare the tables again (clean them, put napkins, cutlery, sugar...). Not much. It can get quite busy at reception. Very nice hotel at a great value. The rooftop bar and infinity pool are great extras. The room was spacious, comfortable and quiet. You get a great view of the city. Quite a central location that is only a small walk away from the Petronas Tower. The hotel also also has a handy free baggage storage room which I used on my last day so I could explore before i needed to go back and head to the airport. Check is inefficient and took really long. When I got laundry done, I had to head down to the hotel lobby to make payment if I wanted to pay by credit card. Breakfast was disappointingly unvaried. Lots of tour groups stay here and they like to congregate in front of the hotel and lift lobby, can get rather crowded and noisy at times. New hotel, clean toilets and rooms. 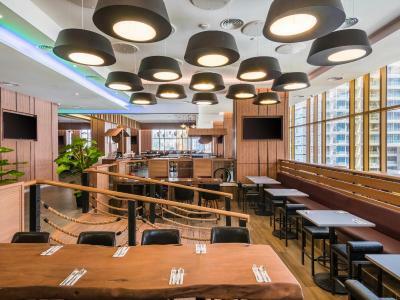 Walking distance to KLCC and international food options nearby. Nice wide table to use as a working desk. Good placement of lighting in the room. The rooms were well appointed and the beds were comfortable. 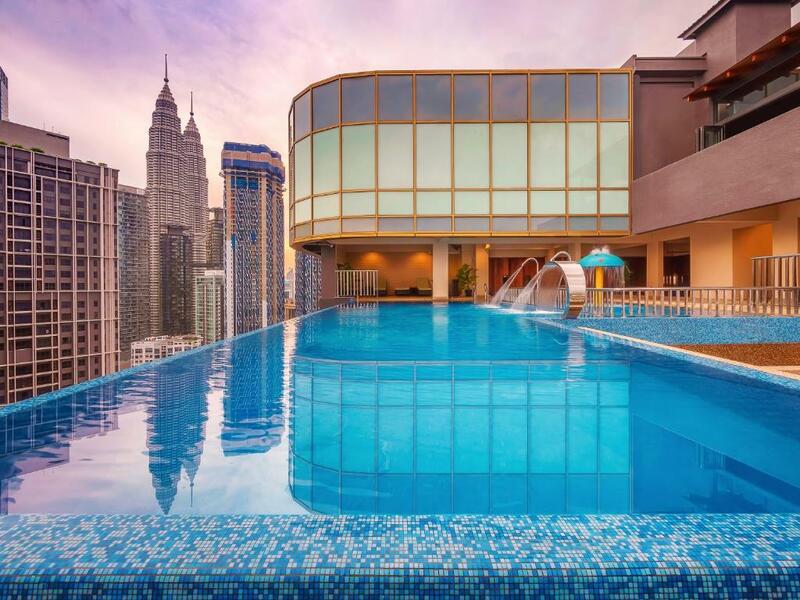 The pool, while small, had an amazing view of the twin towers. Localization gave us a great view from the window, however there are no food shops in the nearby and to MRT you have to walk about 10 min. 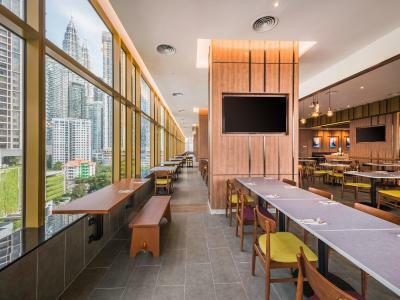 Hotel is located in the modern part of the city, amongst other skyscrapers and near Twin Towers, but quite far from most of the KL attractions. We had a bad experience with the staff while check in - not even a smile or any info, I felt more like an intruder not a guest. Breakfast could be more varied - almost the same things each day. Nice, modern and comfortable room, breakfast was generally tasty. Great view from room. Pool is not big and sometimes crowded but still a nice option. 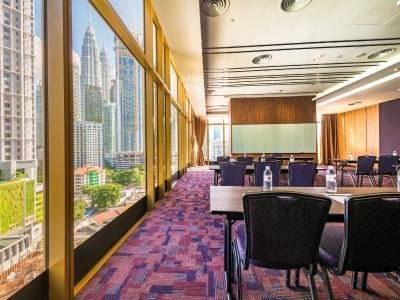 Great location, 5 minutes walk from the Petronas Towers. Rooms clean and tidy, spectacular view from infinity pool on the 31st floor!